PoPville » Any Wagashi Fans Out There? Any Wagashi Fans Out There? “Beginning the week of November 13th, the Teaism Tea Shop in Penn Quarter will be hosting a pop-up by Japanese sweet makers Matsukawaya for the holidays. Matsukawaya will continue to pop up at Teaism’s Union Market space as well. Holiday shoppers around the district looking for hard-to-find gourmet gifts, and those looking to support local, independent, and women-owned businesses will find plenty of options. Matsukawaya, a Nagoya-based confectioner, specializes in wagashi. These sweets, traditionally served alongside Japanese tea ceremonies, are intended to celebrate the changing seasons. Since the Cherry Blossoms festival in 2017, they have returned regularly to the D.C. area to share their sweets at Union Market and events around the city. Yoshitaka Nishino, C.E.O. of Matsukawaya, and Hisao Minabe, Grand Master wagashi maker for Matsukawaya, will be making sweets on the spot. 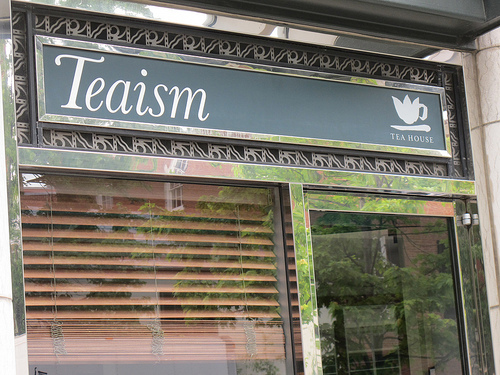 Teaism’s retail space in Penn Quarter has been operating since 1999, selling high-quality loose leaf teas, tea accessories, and unique gifts. The shop strives to represent a blend of local artists and artisans, as well as beautiful items from all over the world.